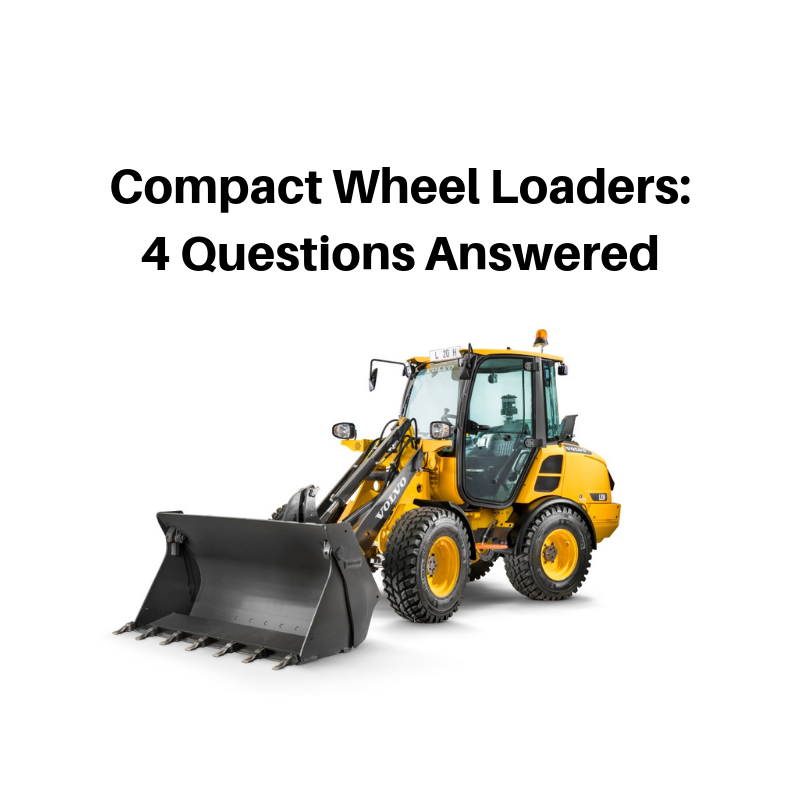 What Makes a Wheel Loader “Compact”? CAT’s compact wheel loaders have 100 hp or less; with John Deere, they are 103 hp or less, and with Komatsu that have up to 94 hp. Volvo, on the other hand, tops out their line of compact track loaders at 117 hp. Given that most track loaders are rated by hp, it would seem that a compact track loader has less than 125 hp, although that certainly is not a hard and fast rule. What Do Compact Wheel Loaders Have in Common with SSLs and CTLs? Like skid steers and compact track loaders, they are made to operate in constrained spaces and tight quarters. Also, they all fall into the category of compact equipment and there are an expanding variety of attachments available for the compact wheel loaders. All three types of machines pack quite a bit of power in a small amount of space, and can be used for a wide variety of tasks in construction, agricultural, demolition, forestry, and more. How Do Compact Wheel Loaders Differ from SSLs and CTLs? Many compact wheel loaders have AWS (all-wheel drive), which means that the rear wheels also turn. Another common site is articulated compact wheel loaders, which gives them even more maneuverability. Some combine both AWS and articulation for maximum agility. Another major difference has to do with attachments: compact wheel loaders can’t handle high-flow attachments as skid steers can. Where Do Compact Wheel Loaders Work Best? Compact wheel loaders seem best adapted to jobs that involve constraints such as maneuverability, tight working quarters, and uneven terrain. The work extremely for loading and placing jobs with heavy loads that require more lift and reach than a skid steer or CTL can provide. Popular compact wheel loader manufacturers include CAT, John Deere, Komatsu, Volvo, Case, and Wacker Neuson, and it is expected that these machines will see a steady rise in popularity as they become more well known in North America. Do any of you have experience with them? If so, leave us a note in the comments below.